Additional Hurricane Lane coverage: see Star-Advertiser 2018 Hurricane Season section and BigIslandVideoNews’ Hurricane Lane tag with Civil Defense updates and videos of flooding as hurricane passed by Hawaii. 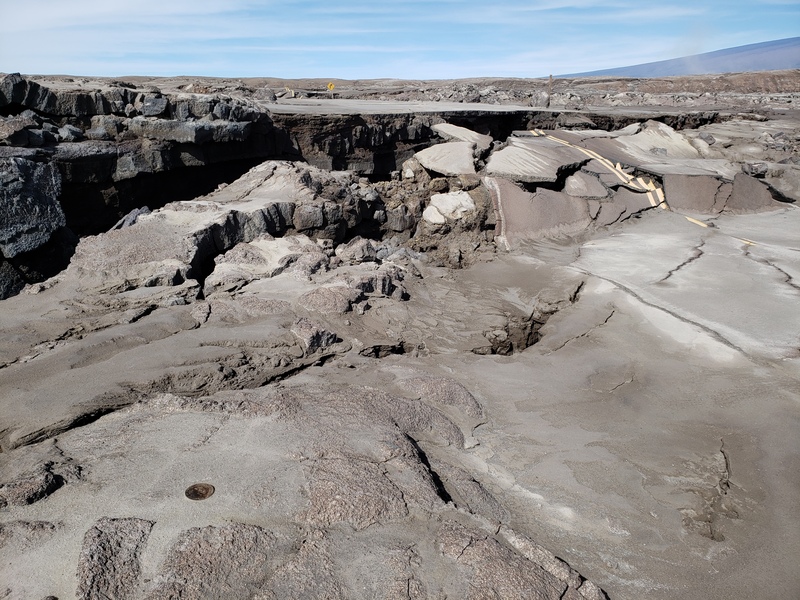 Okay, this isn’t volcano-related, but impressive aerial footage of flooding around Hilo on Saturday including Wailuku River and Rainbow Falls (see Bruce Omori’s slideshow of same flight). 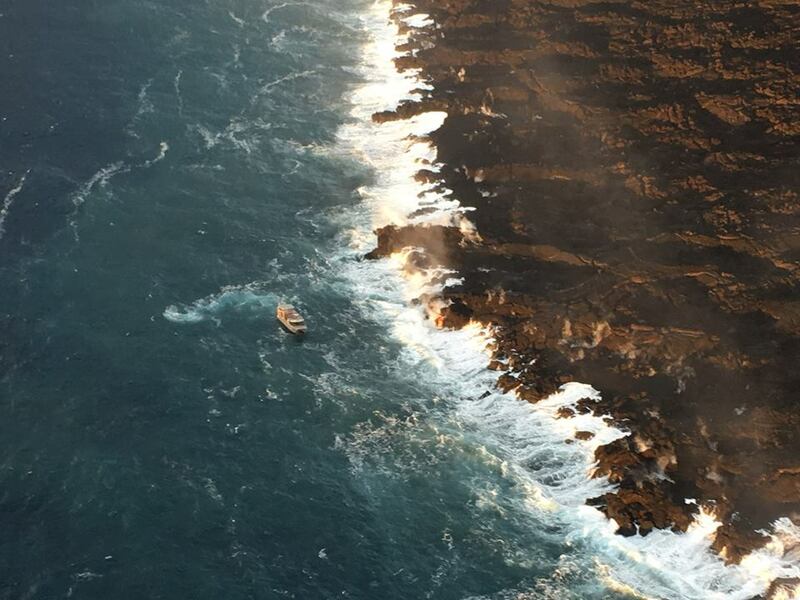 Allan Lowe on FB: That smell is hydrogen sulfide. Humans are sensitive to its smell in very, very small quantities. It is created when magma or lava of a certain temperature mixes with water, which we’ve had a ton of thanks to Hurricane Lane. Charles Gregory on FB: Christine, just to be on the safe side, give HVO a call and ask them about the rotten eggs smell. Without any seismic activity, It seems likely that Allan’s suggestion about groundwater is correct, but if new ground cracking is occurring in the forest near you, that smell could be the first sign of it. Can’t hurt to double-check with the experts. USGS: Alan and Charles are both correct – the smell is probably H2S, and it is detectable at a few parts per billion (a very small amount). You may contact HVO at the askhvo@usgs.gov email or the Observatory phone (808-967-7328). Email may be faster, as many of the staff are working from home. [followup] In south-southwesterly winds even the smallest amount of H2S is sent into neighborhoods and towns to the north of PuuOo and the summit. Because the gas is so detectible by the nose we are getting a lot of reports of people smelling it. When the winds shift to trades the smell goes away…then when it shifts again to more southerly, it will become apparent again. 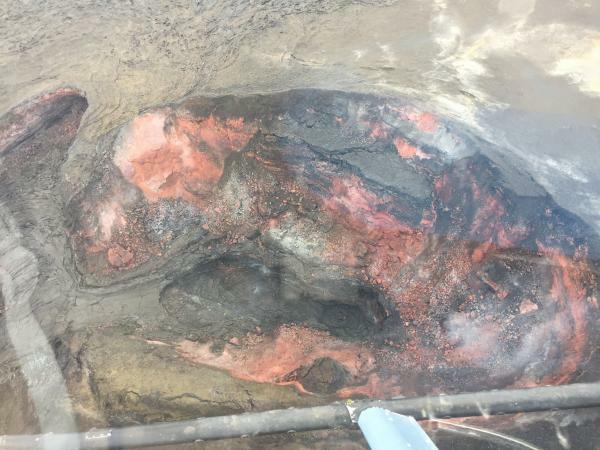 USGS: Lava deltas are unstable, but there is no danger of collapses at Kilauea’s new delta forming a tsunami. The area of the delta that could be affected by a collapse is relatively small, and collapse effects (if there are any) would be local. USGS: There has been less reporting because there is nothing to report. 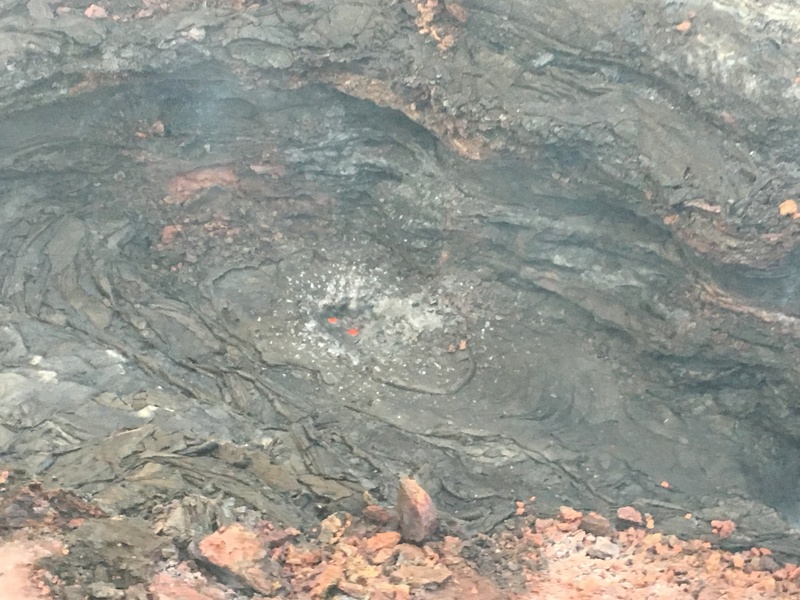 Kilauea has been quiet seismically, lava has ceased to erupt in the East Rift Zone and there has been no summit activity other than rockfalls from gravitationally unstable material on the edges of the crater. The volcano is still being closely monitored, however, and the USGS would report immediately on any renewed activity.